Nobody, least of all me, had expected the fight to last much beyond the first few minutes. As soon as it was hooked the tarpon had dramatically jumped and cartwheeled its way around that tranquil lagoon and surely, we had mused, it would very quickly either throw the lure or break free. But ten minutes later I was still connected, and then the half hour point came and went, and still I was tight to my fish. The one hour milestone was celebrated with the tarpon taking off on yet another series of runs and gill rattling jumps that would have been impressive for a freshly hooked fish then finally, one hour and twenty five minutes later, I had her alongside the boat and as Rosendro grabbed my line to ease her the final metre, finally it snapped. Not the baby tarpon I had expected! Our day had started at the very break of a misty, tropical, dawn, primeval cries of competing troops of howler monkeys reverberating loudly through the dense forrest canopy. As the light steadily increased we made our way through the labyrinth of dense channels and rivers, Capt Rosendo Ruiz skilfully navigating us with an occasional swipe of his machete to clear an over hanging branch. With a raucous screech brilliantly coloured birds broke cover, illuminating an otherwise unbroken backdrop of the densest green with their exquisite plumage. Emerald coloured Jesus Christ Lizards defied the laws of physics as it they skipped their way across the surface of the water. Well it is a rain forest! Finally we had reached our destination, ‘Lago San Juanillo’, which we had found calm and shining silver in the early morning light, looking for all the world like a bowl of mercury. Calm, that is, aside from the frequent smashes and boils of feeding fish. Snook and small tarpon were our primary target that day, which is why I was armed with little more than a medium-heavy 6-Piece Shimano Beast Master STC spinning rod, matched with a Stradic 4000 reel loaded with 20lb test braid with a 1 foot 40lb shock tippet. The lure, a 9cm olive green Rapala X-Rap Subwalk. Rosendo stopped the engine and started to quietly paddle the skiff across the lagoon, as my boat partner Andrew and I cast our lures. Soon a tarpon had rolled in front of me, I cast, and instantly the fish engulfed the lure and exploded into the air. Immediately it became painfully apparent that this was not one of the 5-20lb baby tarpon we had expected, but a much bigger fish we estimated at 80lb; as I said at the very beginning, nobody expected this fight to last much beyond the preliminary stages. 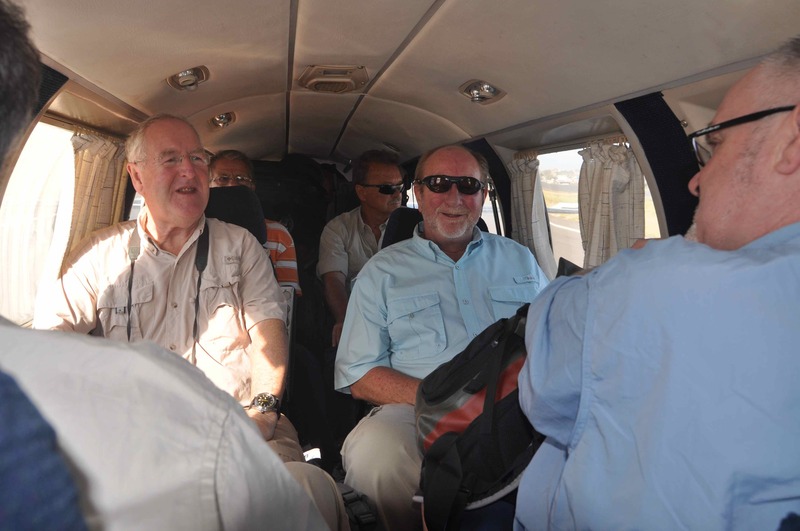 We had arrived at our base, Rio Indio Lodge, a few days earlier, via a short flight from San Jose in Costa Rica down to San Juan Del Norte in Nicaragua. Customs formalities on arrival quickly completed, we had loaded our gear onto a boat for the three minute run from the newly completed jungle airstrip to the lodge. Bob Clements & Dave Brady getting close! Situated at the mouth of the Rio Indio, near its confluence with the Rio San Juan and just minutes from the pass that leads out to the open Caribbean, Rio Indio Lodge is the essence of an eco-lodge. It has been sympathetically constructed to provide minimal impact on the rich environment, while providing guests with a level of accommodation, service and food that has to be experienced to be fully appreciated. 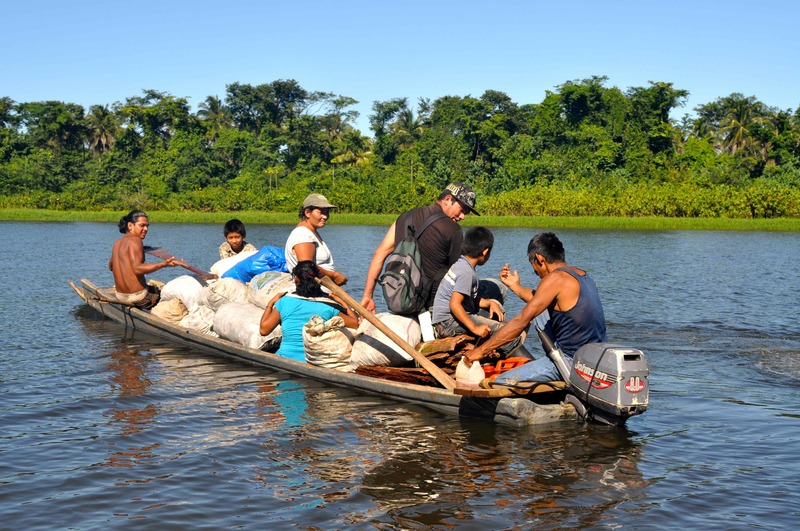 Our guide Rosendro, along with the rest of the team of guides based at Rio Indio lodge, is an indigenous Rama indian. 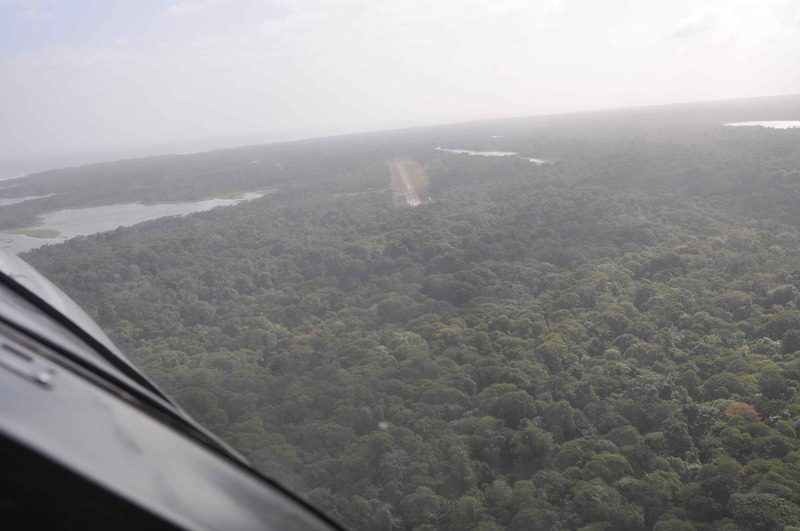 Brought up in the rain forest, the Rama’s knowledge of the regions rich flora and fauna is expansive. 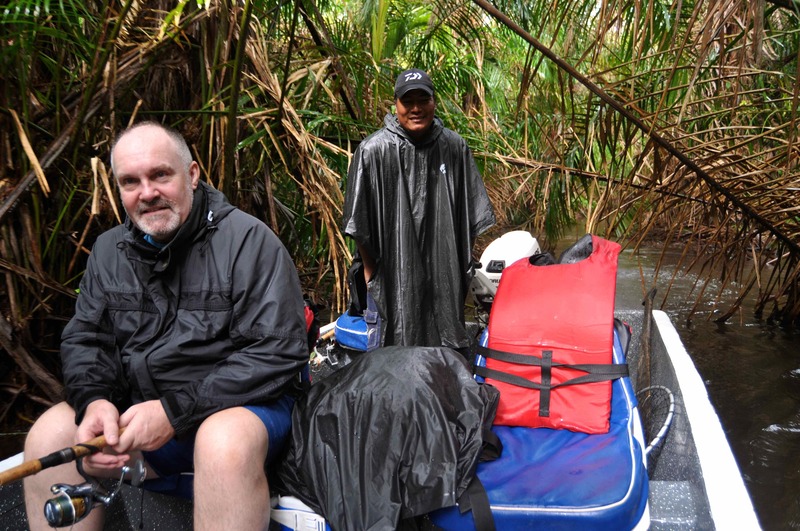 As soon as Rosendro realised that in addition to fishing, my boat partner and I were very interested in the countless exotic birds, animals and plants we saw, he readily told us their names, along with many other interesting facts about the jungle and its inhabitants. All of the guides speak excellent English. So with our options limited by the wind that first morning we ran a few miles inland, all the time marvelling at the jungle all around us, eagerly anticipating those first magical casts of a trip to a new destination. It was mid-January, and our trip had been arranged so as to coincide with the regions prolific annual snook run. 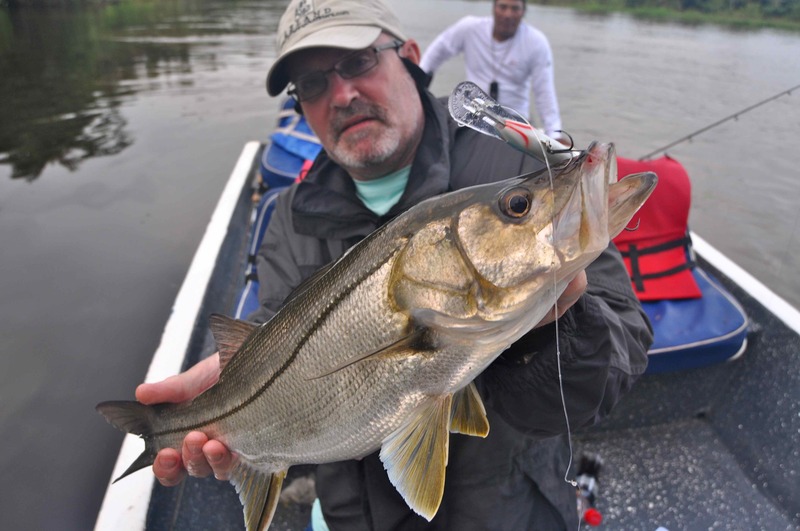 Starting in early December, each year hordes of snook enter the rivers and lagoons to spawn. Hit the run at the right time and catches of this popular species of game fish can be spectacular, we heard numerous reports of individual anglers taking up to 30 or more snook per session. Common snook and fat snook are the mostly commonly caught species, but both swordspine and tarpon snook are also caught. We caught a few snook that first afternoon, as we did every day we fished for them, but as we had already been told this year for some reason the main migration of fish were late. Variety was provided by several fresh water species that are prolific in the area, species such as mojarra, mochaca, guapote and river drum. 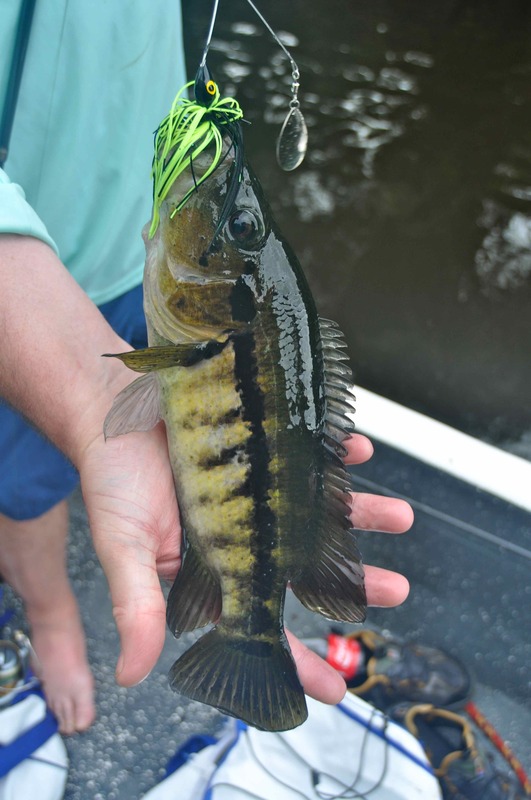 We fished various small lures throughout the trip and while most caught snook, it very quickly became obvious that in the coloured river waters it was those lures with plenty of flash and an internal rattle that were producing the most strikes. Top snook lure during the week was a metallic silver and blue Rat L Trap. One morning we set off on a long run to a secret lagoon hidden amidst the densest jungle imaginable. Named ‘Lago Mysterioso’ , as to date nobody has located its source, here we were told we could catch hard fighting rainbow bass, parachromis dovii cichlidae. A species unique to Central America, I had caught numerous rainbow bass on a previous trip to The Solentiname Islands on lake Nicaragua. Averaging 2-6lb, I was keen to once again have the opportunity to tussle with these very hard fighting fish. Lago Mysterioso was more of a slow running river than an actual lake, but as promised the fishing was spectacular. Weedless spinner baits, the sort of lure popular was bass anglers in the United States, were the most effective lures, not simply because their vibrating action and bright colours drew plenty of strikes from aggressive bass, but also because they are pretty much the only type of lure that you could effectively fish amidst such dense cover. We soon learned that casting deep beneath overhanging trees and the densest foliage, casting into deep, shaded pockets of water would produce the most strikes. 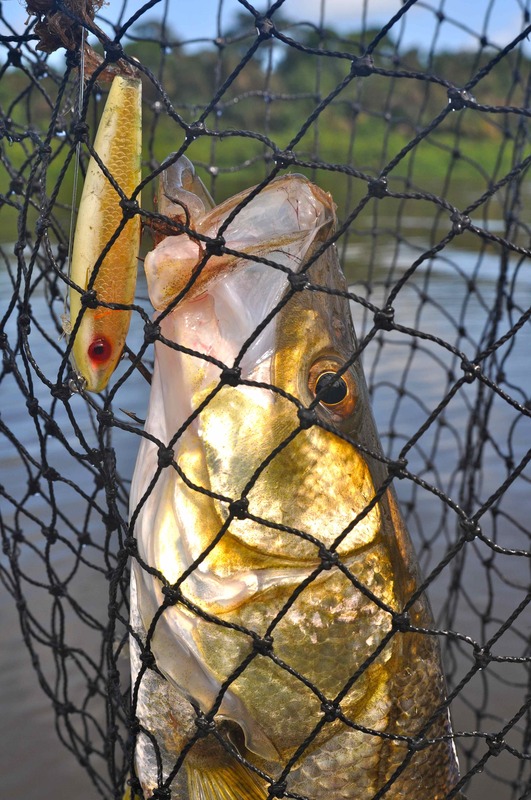 Of course plenty of casts ended up hanging from branches, weedless lures are only so effective! But enough casts hit the mark to ensure we were soon connected to the first bass, and by the end of an eventful day we had caught plenty of bass, along with other sporting species. By the afternoon of our third day the wind had eased sufficiently for us to venture out to sea in pursuit of tarpon. The narrow pass was still extremely rough with an outgoing tide opposing the remnants of the strong onshore winds, but Rosendo skilfully ensured that soon we were safely though the maelstrom at the river mouth and sat riding a gentle swell along a distinct colour change marking the mix of fresh and saltwater. 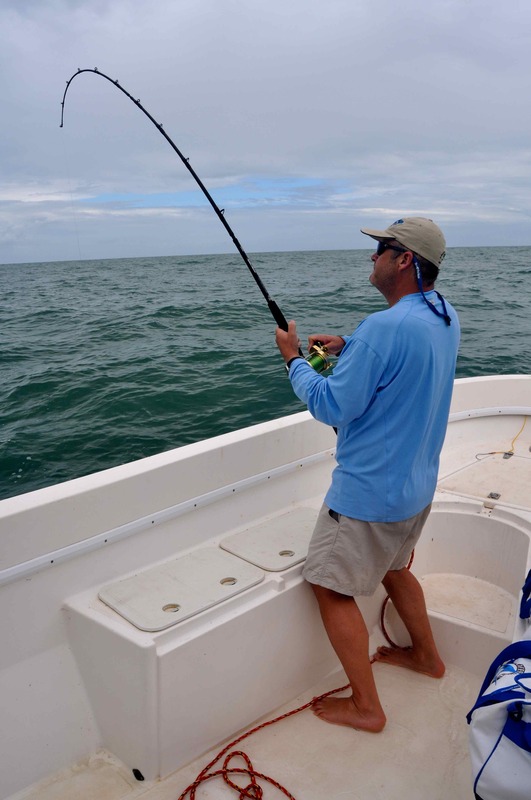 Tarpon are caught here in many ways, ranging from deep drifting dead baits to working jigs. 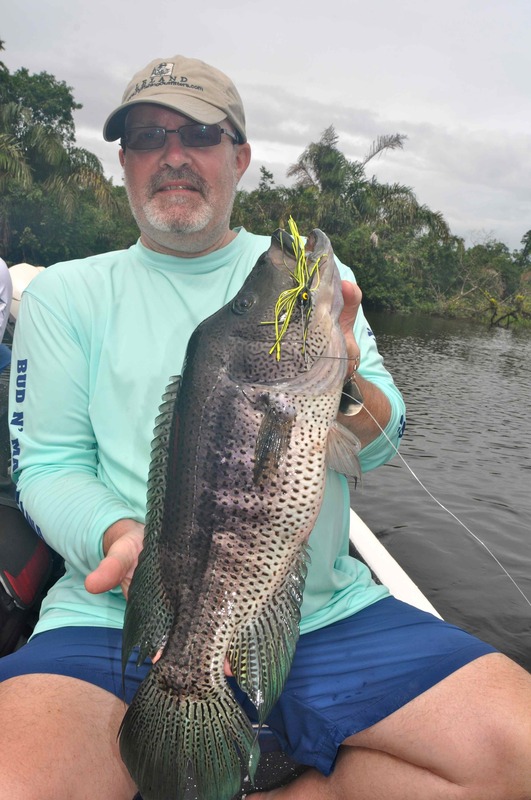 Fly fishing, too, can be especially effective, especially during peak tarpon season which is in September and October, and again in March. On this day Rosendo informed us we would be drifting livebaits, which he caught on the usual sabiki rigs. The technique was simplicity in itself. I rigged my 20-30lb class Shimano STC Speedmaster with a Trinidad 30 loaded with 30lb test monofilament, to which I had tied a 6m leader of 50kg monofilament terminating in a size 8/0 Owner SSW Circle Hook Model No 5178-181. 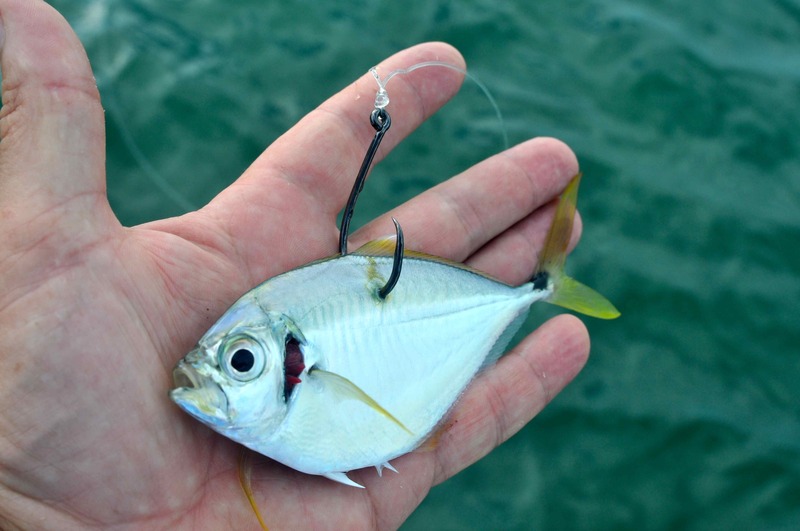 The bait was attached by hooking it as lightly as possible through the base of the dorsal fin. As the boat steadily drifted along the bait was allowed to swim freely about 80 yards away while I held the rod, reel in free spool, waiting for a strike. When after perhaps twenty minutes it came there was no mistaking the strike. First I felt the livebait suddenly become agitated as it sensed a predator homing in on it, then the little fish tried to escape on the surface, but was engulfed in a boil of water. I allowed the tarpon to take line freely for a few seconds, giving it time to turn and swim off with the bait. Then I reengaged the reel spool and allowed the line to steadily tighten, hoping the circle hook would catch in the sweet spot in the corner of the fishes jaw. As soon as it felt the tension of my line the fish did what tarpon do best, that is leapt into the air in the first of a series of manic and especially spectacular head shaking jumps in an attempt at freeing itself from the hook. Frequently, of course, this is the point where the angler loses the fish, but on this occasion the circle hook had worked its magic and secured itself in the fishes jaw. Twenty minutes later I had her alongside, and we lifted her into the boat for a brief photo session, estimated weight 100lb+. Not long after Andrew Leaves released a fish of similar size. The next few days saw us alternating between fishing inland for snook, and out at sea for tarpon. Most days the biggest problem we had was in deciding exactly what to do, but regardless of what we finally decided upon, invariably Rosendo would put us on fish. All too soon we were riding the short distance back to the airstrip to begin the long journey home, but already we were making solid plans for a return visit to this remote, beautiful and almost totally unspoilt corner of the world to once again fish for tarpon and snook. Nicaragua is rapidly emerging as a major eco-tourist destination in Central America, and is widely regarded as being a safe country for tourists to visit. 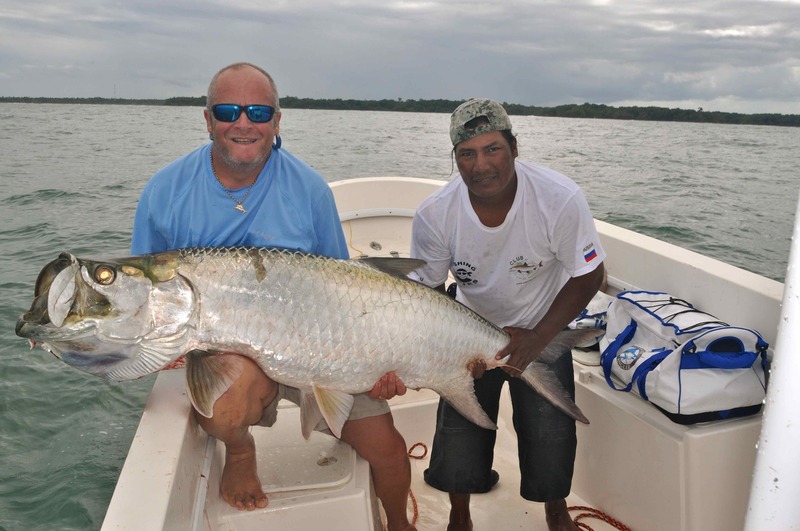 For many years the amazing fishing off the Caribbean coast of Costa Rica has been well known, with most of the hugely popular American run camps at to Rio Colorado located just 30km to the south. The fishing off the Nicaraguan coast is as good, many anglers I have spoken to who have fished both countries argue its much better, and whether or not this is the case, certainly fishing in Nicaragua is much less pressured. During the eight days we fished we never saw another sports fishing boat, only locals fishing with handlines. 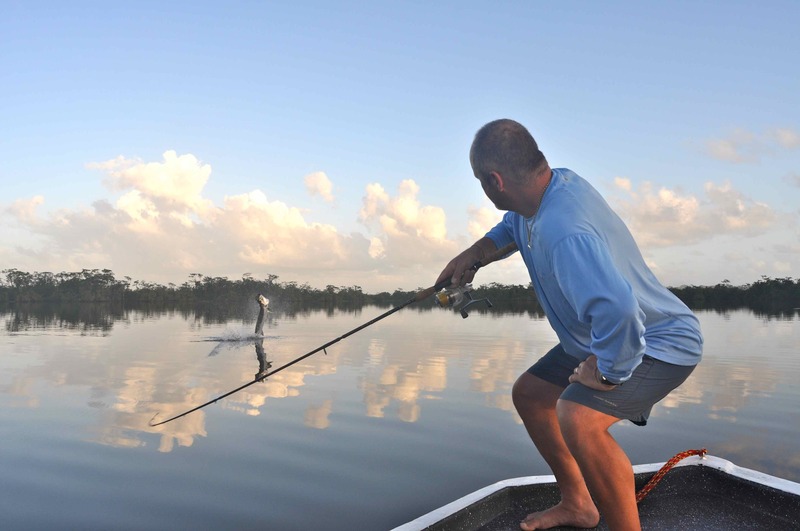 Snook and tarpon are present year round, but optimum times for snook are December through April, while tarpon are best in September and October and then again in March. 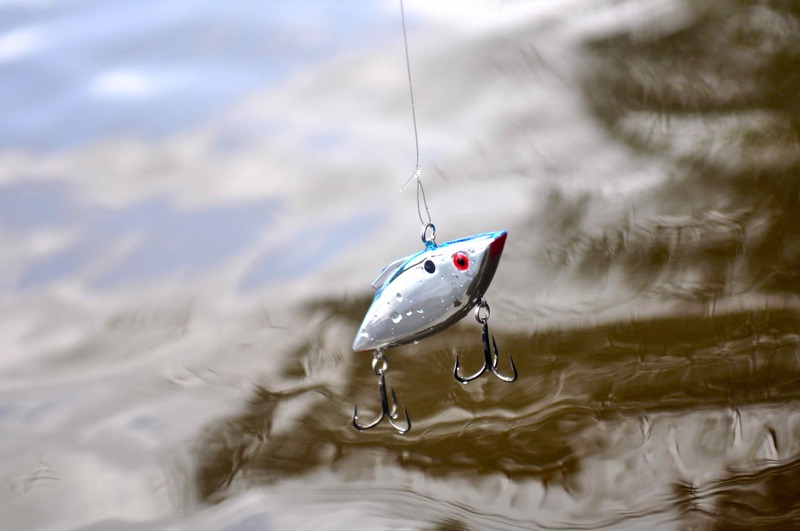 The Rio Indio Lodge website has a comprehensive list of tackle recommendations, and the lodge has an extensive selection of quality tackle that is available for hire. Along with those fish species already discussed, alligator gar are also caught within the rivers and lagoons. There is some debate among scientists as to whether the alligator gar in Nicaragua actually are alligator gar, atractosteus spatula, or tropical gar, atractosteus tropicus. During my most recent trip we did not catch any gar though we were told that had we targeted them, using dead baits or cut bait fish on the bottom in the lagoons or quieter, deeper stretch of river, then our chances of success were very high. During previous trips to Nicaragua, fishing further upriver on the Rio San Juan, we have caught several of these prehistoric looking fish trolling Rapala Super Shads. Nicaragua has a very tropical climate. During the dry season, January through June, there is virtually no rain and trees and plants start to dry out. Once the rains arrive in June or July, everything starts growing and the yellow plants and leafless trees turn green and start blossoming. In August and September it often rains once a day. Fortunately it just rains for a short period of time and these are often spectacular, tropical downpours. Temperatures vary roughly between 22° C at night and 30° C at daytime. I think they’re somewhat overloaded! The Rio San Juan was described by Mark Twain as “an earthly paradise”. 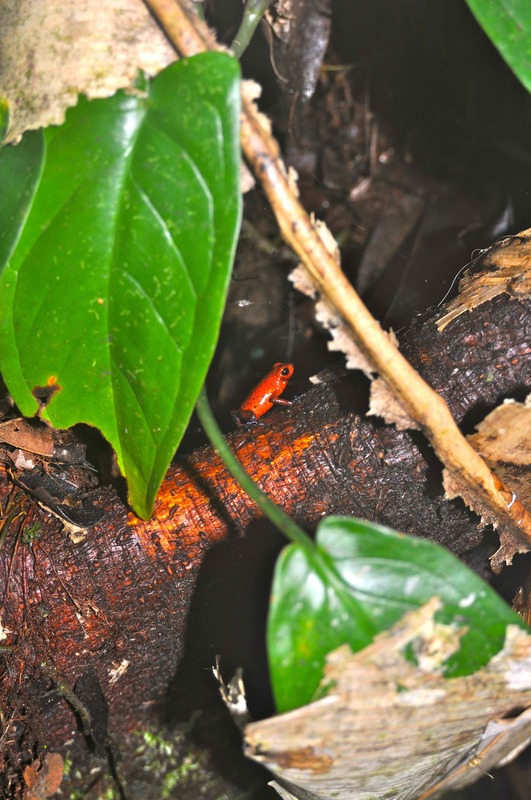 The Indio-Maíz Biological Reserve, within which rio Indio Lodge is located, consists of 4,000 square kilometers of virgin rainforest and wildlife and has been described by University of California at Los Angeles biologists as “the gem of Central American nature reserves”. 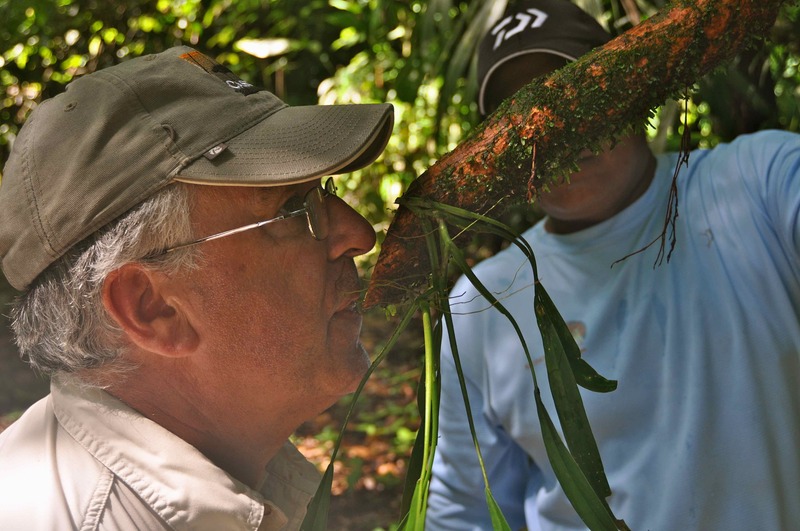 Ray Jennings stops for a drink during a jungle trek! The Indio-Maíz Biological Reserve is home to many endangered species: howler, white faced and spider monkeys, jaguar, giant anteaters, crocodiles, toucans, parrots and a rainbow of orchid and butterflies. Over 600 species of birds live here, along with more than 300 species of reptiles and 200 species of mammals. Hey there, You have performed a great job. I will definitely digg it and in my view suggest to my friends. Hi John, where exactly are you going?